In the last few weeks, so many things have changed. Highschool was safe, known, comfortable. Holidays were fabulous. Uni is none of that. I don’t like college life very much. You meet new people and you have coffees and lunches with them and you smalltalk until you’re tired of pointless conversations and just want to go home. And I am not even enjoying wearing violet fur or going over the top with accessories, because that makes you feel like an outcast, not fabulous at all, as there is no one there to appreciate it. Most of medicine students wear ugly sweaters from year '02 and sport shoes. ...photography... I found my grandfather's Zorki-4 a while ago, but am still learning how to use it. As it doesn't have a light meter, and I don't have any knowledge of photography, most of the photos are blurry, underexposed, or not there at all. But I'm having lots of fun with it! 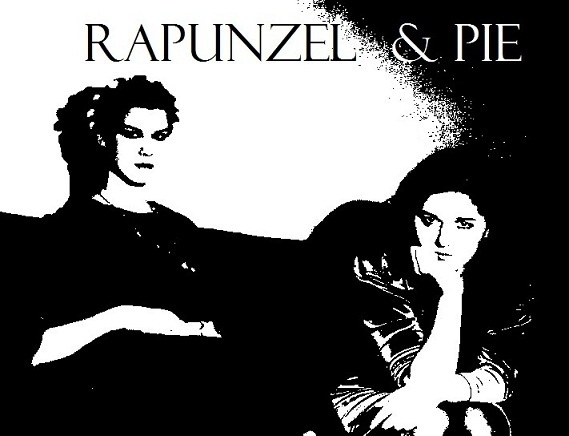 ...having a fur-and-dark-lipstick-wearing alter ego at night... oh yes, we are still Rapunzel&Pie, and fabulous too! We recently attended a fashion show with a slovenian fashion blogger Eva Ana, who took the photo below. For more, check out her blog, all around eve.